This is a discontinued Sailor ink. It’s a much sought after ink. I only came to have a bottle of this ink because a friend sold me a bottle. This is a great orange ink. It pops and shades very well. 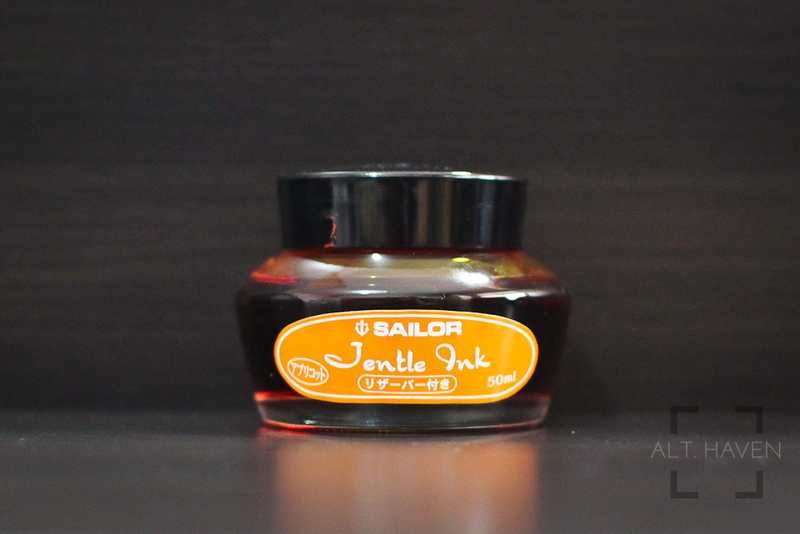 Why would Sailor discontinue such a wonderful ink is beyond my understanding. Noodler’s Apache Sunset would be a close match. I’m really sad I only have the one bottle. I would have to use it sparingly.